Why is a honey facial beneficial for the skin? Honey has many positive skin care properties. The most prominent is that honey is a good moisturizer. It is a good moisturizer because it grabs moisture from the environment and brings it to the skin. Compounds that have this property are known as humectants. Therefore, it is a wonderful ingredient to use to fight dry skin and to help rejuvenate the skin, which leads to less fine lines and fine wrinkles. 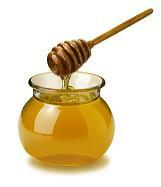 Honey also contains alpha hydroxy acids, which help to gently exfoliate the skin. It is an ideal product for people with sensitive skin and is often used to combat the formation of pimples. It is no wonder why so many facial mask recipes include honey in their ingredients. Below are some facial mask recipes containing honey. Unless otherwise indicated, apply the facial mask to a freshly washed face and let it sit on the skin for approximately 10 to 20 minutes. Rinse off with warm water. Pat dry the face with a clean towel. Before using for the first time, always spot test the facial on a small patch of skin to ensure the skin is not sensitive to the ingredients used. Of course, anyone with allergies to the ingredients used in the various facial masks should avoid using those facial mask recipes. Whip the above ingredients together until a creamy consistency is achieved. Store any extra in a wide-mouth jar for future use. Mix the ingredients together and add a little water if the mixture is too thick to spread. Apply the honey almond mask to the face. Gently massage the face, using an upward, circular motion as you rinse. The crushed almonds provide extra exfoliation for the skin. Combine all of the ingredients together and mix until the mixture is smooth. Apply the honey and oatmeal face mask to the skin. Combine the honey, buttermilk powder, and mashed avocado and stir until the mixture is smooth. The first step is to combine the honey, pollen, and lemon juice ingredients. These ingredients should be mixed well until the honey softens. Next, add the remaining ingredients and mix until the mixture is homogeneous. More honey facial skin care recipes are available in the Honey Skin Care Recipe Book.